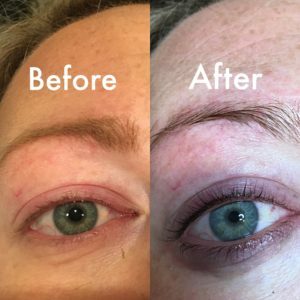 We don't always get long and luscious eyelash and full eyebrows, but with a simple lash lift or eyelash or eyebrow tint, your facial features will pop! Now you can enjoy the look of long, luscious lashes without the hassle of eye-pinching curlers. Includes your choice of tint. Enjoy this simple treatment with long-lasting results. For truly dramatic eyes, have your lashes and brows professionally tinted with a color that suits you perfectly.